Just the Facts: by Linda Lee Chaikin. 341/350 p. Published 2010/2011 by Moody Publishers. Advanced review copy provided to me courtesy of the publisher in exchange for an honest review. Short Bio: Chaikin’s newest saga, “The Dawn of Hawaii Series”, debuted The Spoils of Eden in 2010, and was just recently followed by the second, Hawaiian Crosswinds, in June 2011. 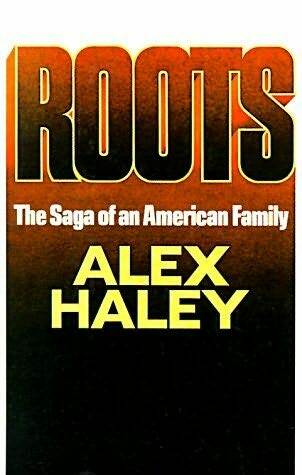 The series follows the third generation decendants of the first Hawaiian missionaries, families who by now have vast land holdings as well as great political influence. Although the plot centers around Eden Derrington’s struggle to fulfil a long-held dream to work with her much-absent father on the leper colony Molokai, finally meet her leprous mother, and hang on to her hunky and hardworking fiancée (Rafe Easton), the saga involves all of the Derrington clan and most especially Eden’s cousins – Candace, Zachary, and Silas. Eden’s personal quest to build relationships with her absent parents, as well as with Rafe, is set in the middle of high political tension in Hawaii. Her grandfather and fiancée both support the annexation of Hawaii by the United States in order to have the protection of both U.S. Navy and U.S. laws at a time when Queen Liliuokalani is pushing for restoration of an absolute monarchy. The increasing need for manual labor on large fruit and coffee plantations has brought an influx of Chinese and Japanese families who not only threaten the demographic balance of Hawaii, but also bring the corrupting influence of drug and gambling cartels from the Orient. Eden and her cousins set about the difficult task of following God’s path for their future amidst these warring influences, family pressure to make strategic marriages, and internal doubts and fleshly weaknesses. Eyewitness Account: First, I must say that Moody Publishers has a great Public Relations department – I had originally requested the Hawaiian Crosswinds galley on NetGalley, and when I received it, the formatting was illegible. Moody promptly responded to my email by sending me hard copies of BOTH books in the mail (which was great, I hadn’t realized it was the second book in a series!). I’ve long been a fan of Chaikin’s because of her Heart of India trilogy, which I read several times as a kid (it was published about 20 years ago), so I was super excited to read this series. 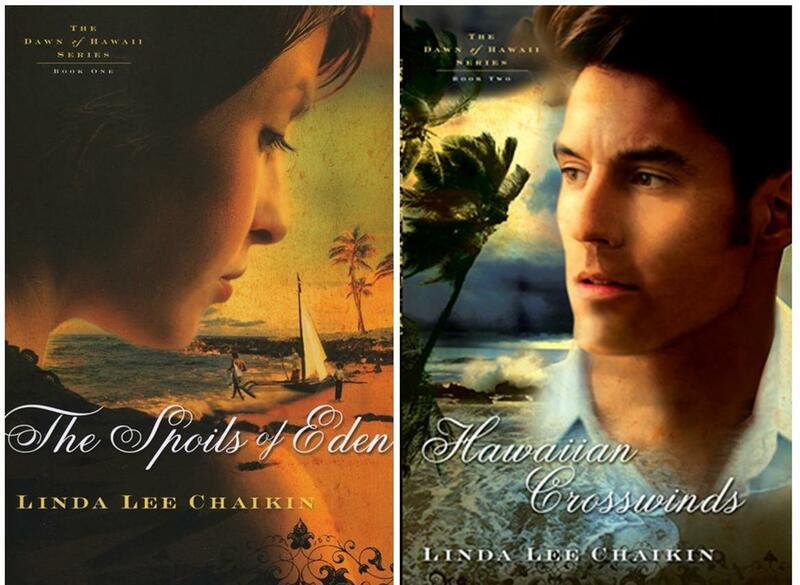 Chaikin did not disappoint – this new Hawaiian series has all the same strengths that her Indian series has: interesting and well researched historical period, full cast of diverse characters, interesting and complex plot, and strong undercurrent of spiritual truths. I was a little taken aback throughout the first book because it felt like Chaikin was info-dumping a whole lot of backstory about the characters – and then I remembered that she had published a Hawaiian book a few years back, and sure enough For Whom The Stars Shine was supposed to be the first book in this series (perhaps you could consider it a prequel)? I’d read it long enough ago that I didn’t remember any of it, so the backstory helped and I was less annoyed knowing that she was actually referring to a previous novel. Unfortunately, Shine was published by Bethany House and the Dawn of Hawaii series is under Moody Publishers, so they don’t connect the two at all (leaving me rather confused and put out for most of the first book about the backstory dump). You might want to pick up Shine first if you’re interested, but it isn’t necessary. The first two books in the Dawn of Hawaii series are full of complex characters and plot development that take patience to get through, but are worth the effort – most of the advancement takes place through dialogue, which can drive action-lovers bonkers. It’s a technique, though, that allows Chaikin to focus on the characters and their relationships to one another and provides the medium through which she develops many of her themes, such as Eden and Rafe learning to trust each other enough to confront each other about secrets and concerns. Chaikin also explores the idea that faith is not something you can inherit like you can a sugarcane plantation, but that you must claim as your own. Her characters struggle with personal sin and weakness in very human ways, like jealousy of step-siblings or anger towards abusive parents. They also battle to determine what God’s path for their future is – Candace trying to decide whether she is free to marry for love or obliged to accept her grandfather’s choice of husband, and Eden’s dilemma of putting off her fiancée in order to work with her father and meet her mother. Another major theme of the book is the plight of the lepers, personified in Eden’s mother and in Kip. Kip is a young, orphaned boy who is rescued from Molokai by Rafe. He himself does not have leprosy, but would be banished to a life on the leper colony under the current Hawaiian rules. Eden and Rafe clash over the question of obeying the local law that Kip must be isolated and perhaps returned to the leper colony, even though he shows no signs of the disease. Rafe reluctantly allows his own appointment to the legislature on behalf of an absent assemblymen with the sole intent to change such laws that persecute those who are merely associated with, but do not have, leprosy. Eden’s father, Dr. Jerome, had dedicated his whole life to finding a “cure” for leprosy after his wife contracted the disease and was exiled to Molokai. Chaikin shows that at this time in Hawaii’s past, leprosy was greatly feared and its victims severely stigmatized. Several of the characters (including Eden, Dr. Jerome, and the local lay pastor, Ambrose), display compassion for those with the outcast disease and work to give the victims hope and give the fearful peace. My only real quibble was that this series was eerily similar to The Heart of India trilogy – large dynastic non-native family, central conflict over an orphaned boy of questionable origin, tyrannical and manipulative uncle, mysterious fires, etc. There are no characters that are “exactly” the same, but there are enough plot devices in common to make the work feel not entirely original. If you like well-researched historical fiction in the tradition of Alex Haley, James Michener, and Herman Wouk, then you’d probably enjoy this series. I’m eager for the third one, hopefully coming out soon! Try it for free – grab the first chapter of The Spoils of Eden here and Hawaiian Crosswinds here, or just head over to Amazon.com to pick it up! Just the Facts: by Mary Doria Russell. 416 p. Published May 2011 by Random House. Bought from Amazon.com for my Kindle because I LOVED The Sparrow. Eyewitness Account: The only criticism of this book I can truthfully give is that it ended too soon! Russell managed to do what she did so expertly in The Sparrow – she introduced me to a cast of characters that I did not want to say goodbye to. Forget your brawny Fabio romance heroes; I’ll take Doc over them any day! Doc Holliday was the epitome of a southern gentlemen driven to survive his debilitating tuberculosis – and he has the wittiest and most charming lines in the whole book. Wyatt Earp steals your heart with his illiterate sincerity and desire to serve unilateral justice. Kate Harony, Bessie Earp, and Belle Wright are, each one, very different and yet very independent women trying to tame a wild country full of unreliable men. I even fell in love with a young black boy who would have been cast as an extra if the story were a movie set, he had so few of his own lines. And the writing – oh, the writing! There are some authors who make music with their words, and Russell leads the pack. Doc is one of the wittiest, engaging, and heart-breaking novels I have read all year. It’s a book that I’d recommend to my dad as easily as to my grandmother, the themes are so universal. This is one of the few books that I’ve actually bought this year and it was COMPLETELY worth it! I’m just sad I didn’t get a physical copy so I could start handing it out to my fellow book-junkies. Sit in a physician’s office. Listen to a diagnosis as bad as Doc’s. Beyond the first few words, you won’t hear a thing. The voice of Hope is soft but impossible to ignore. This isn’t happening, she assures you. There’s been a mix-up with the tests. Hope swears, You’re different. You matter. She whispers, Miracles happen. She says, often quite reasonably, New treatments are being developed all the time! She promises, You’ll beat the odds. A hundred to one? A thousand to one? A million to one? Eight to five, Hope lies. Odds are, when your time comes, you won’t even ask, “For or against?” You’ll swing up on that horse, and ride. Just the Facts: by Amy Stolls. 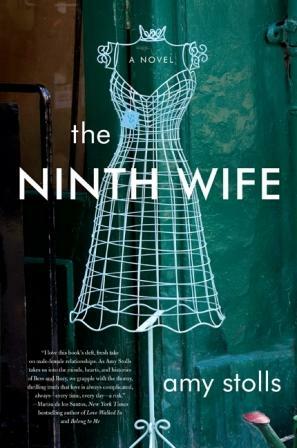 488 p. Published May 2011 by HarperCollins. Advanced review copy provided courtesy of the publisher, through NetGalley. Short Bio: Bess relies on the vigor of her karate class and the antics of her gay neighbor, Cricket, to keep her 35-years-old-and-single life interesting until she’s talked in to throwing a big singles bash for her birthday. There, she meets Rory – a hunky Irishman with a secretive past. As their relationship gets serious, Rory confesses to Bess that he’s had eight previous wives. As Bess attempts to navigate her emotional turmoil from hearing this news, she determines to contact Rory’s ex-wives to see if she can’t find some reason to either accept or reject Rory’s marriage proposal. Eyewitness Account: I was surprised at how much I loved this book – it’s not very impressive at the beginning (the writing is a little awkward, as it’s written mostly in present tense. “Bess goes to the fridge and takes out a glass of milk.”), but once I got about a third of the way through, the characters hooked me. Every single one of them, from Cricket to Bess’s bickering grandparents to Rory’s past wives, somehow managed to rise above the general stereotypes that you tend to see in supporting characters and made for very believable people. Although a little slow at first, the plot really picks up momentum about halfway through and I couldn’t put it down! My advice – push through the first half, it’s worth it! Gaia is that perfect skimming stone one searches for at the edge of a lake, smooth and shapely, unadorned and peaceful among the other stones but capable of soaring out across the surface as if defying the laws of nature. She is beautiful, but then maybe all new mothers are beautiful, or all onlookers in the immediate aftermath of birth see a kind of beauty they didn’t see before. How does one wrap one’s mind around eight wives? It could have been worse, he could have murdered someone, her interior voice whispered. If he were a murderer, she answered, she certainly wouldn’t be sticking around. But isn’t that the response she should have to a serial spouse? To run fast in the other direction? Just the Facts: by Kaye Dacus. 320 p. Published May 2011 by Barbour. Advanced copy provided in electronic format courtesy of the publisher, through NetGalley. Short Bio: The matchmaking grandmothers are at it again – and this time they have their eyes on english lit professor Caylor and artist/professor Dylan. Caylor and Dylan must survive the loving meddling of their grandmothers, Sassy and Perky, as well as regret from past mistakes that could cloud both of their futures. Eyewitness Account: Since the last several books I’ve read have been either deep theology or bizarre speculative fiction, I decided it was time for something light-hearted and fun – and this book did not disappoint! 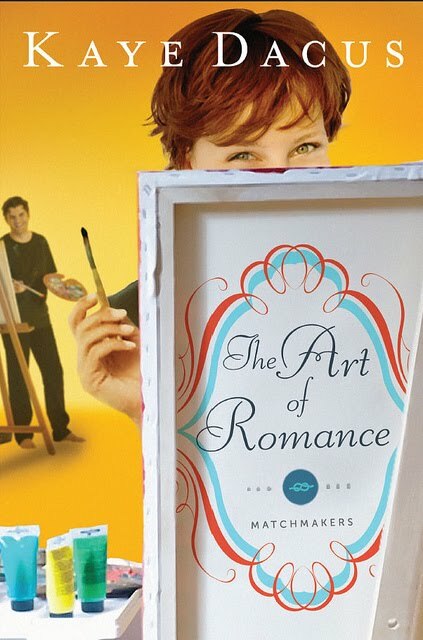 I haven’t read the first Matchmakers novel, Love Remains, but it didn’t take long to catch up with the characters and get pulled into a good story of two people learning to move forward after making poor choices in the past. Dacus developed a fairly complicated plot that, while comfortably predictable, did not depend on conflict caused by uncommunicative characters making rash assumptions (as so many romance stories do). The love story conflict was developed realistically, which helped me overlook some rather hefty plot contrivances (I thought the past connection between the two main characters a bit of a stretch). One of the best parts about the novel is that Caylor is an author who uses her daily interactions as inspiration – reading about her idea gathering and writing habits was like getting a sneak peek into an author’s brain and made me wonder if most authors have a similar creative process. This lovely novel would make a great summer read for anyone who enjoys inspirational romance! “Both.” Sassy waggled her finger at Caylor, raising it above her head so it was the last thing Caylor saw as she disappeared down the stairs.